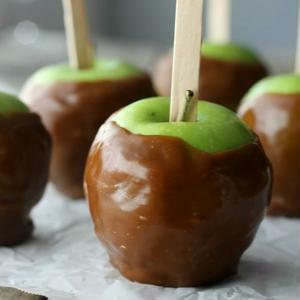 Caramel apples are practically synonymous with Autumn. They’re staples as midway concessions at county and state fairs as well as Halloween. But they haven’t been around all that long. Dan Walker, an employee at Kraft Foods, was trying to figure out what to do with caramels that hadn’t sold one Halloween in the early 1950s. He decided to melt some of them down and dip apples in the molten caramel. He allowed them to cool and after a quick taste test realized he had a new classic treat on his hands. In 1960 Vito Raimondi of Chicago made it possible to mass produce caramel apples with his invention of an automated caramel apple machine. The beauty of the caramel apple, and FAQ Coney Apple is in its simplicity, two flavors that complement each other. Coney Apple opens much like that first bite into a caramel apple. There’s that juicy, sweet note of apple quickly surrounded by that creamy, sweet caramel. Those two flavors bring out the best in each other and in Coney Apple they’re present in a nearly perfect blend. Coney Apple has a mild throat hit with a creamy smooth and juicy vapor. The aroma is dominated slightly by apple, but the mild scent of caramel lingers. This is a surprisingly satisfying vape, those two tastes and textures blended expertly. You can pick out each of those flavors, but neither overpowers the other. Coney Apple is an ejuice that will please both fruit and candy vape fans. I vaped Coney Apple for several days in the Kangertech IKEN Kit. Apollo supplied the bottle of FAQ Coney Apple ejuice I tested for the purpose of this review. Apollo offers Coney Apple in 30 ml glass dripper bottles for $18.95, 60 ml bottles for $21.95 and $120 ml bottles for $44.95. 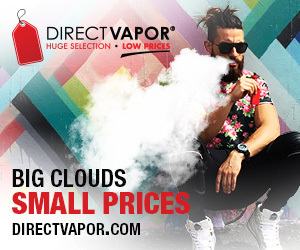 Available nicotine levels are 0 MG, 3 MG and 6 MG. Apollo mixes Coney Apple in a max VG PG/VG ratio. Order FAQ Coney Apple from the Apollo website.